Pumpkin Enzyme Mask Review: Does It Really Deliver Results For You ? According to the company, the Pumpkin Enzyme Mask for Acne has been formulated to deliver triple action to the skin. With its chemical, enzymatic and manual exfoliating benefits, it can address the issues of the aging, dull and congested complexion. It delivers these benefits in three different ways. 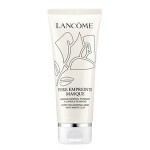 First, it exfoliates using Pumpkin Enzyme. Second, it can reveal fresher looking skin with Alpha Hydroxy Acid. Lastly, it polishes the skin using Aluminum Oxide crystals. It also contains ingredients that can even out the appearance and tone of the skin, smoothen the skin, and reduce the look of wrinkles and fine lines. More than that, the mask is also designed to clarify the skin and reveal a smoother, younger, more revitalized and radiant skin. If you wish to know more about what this mask can do, please keep on reading this review! Peter Thomas Roth is a skincare brand that was born because of the new found passion of the owner for skin care. The owner was able to discover his love for skin care when he was looking for skin care products that can help address the various concerns that his skin type has. 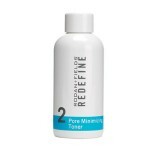 During his younger years, he was dealing with acne then he also dealt with signs of aging as he grew old and that’s when he decided to formulate products that can really help him solve his skin problems. Being a child of Hungarian parents, he believes that skin care is an important part of his heritage. In 1993, he decided to launch his line of Peter Thomas Roth products. His first few products were based on the minerals and muds that are found in their thermal springs. But now, he is starting to use advanced and innovative ingredients in his products. To enjoy the pumpkin enzyme mask benefits, apply a thin layer of the mask to the skin. Massage it into the skin using circular motions using wet fingertips. Polish it using aluminum oxide powder and leave it on for 3 to 7 minutes depending on your skin’s sensitivity. Rinse it off. Use the mask once or twice a week. Pumpkin Enzyme: This is a natural enzymatic exfoliator that can refine the skin and smoothen its surface. It is also packed with nutrients that can promote cell turnover and leaves the skin brighter and smoother. Alpha Hydroxy Acid: This is commonly used in targeting the issues of the wrinkled and aged skin that is caused by sunlight. 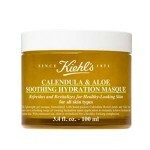 However, it may also increase your skin’s sensitivity to the sun so make sure to wear SPF when using this mask. Aluminum Oxide Crystals: This delivers gentle yet efficient physical exfoliation to the skin which can help polish it and rejuvenate its appearance. Ascorbic Acid: This is known for its ability to brighten the complexion and target discoloration. The mask delivers triple action to the skin. It contains Aluminum Oxide Crystals which are the same crystals used in professional microdermabrasion treatments. 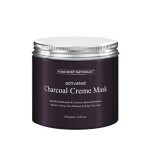 The face mask is free of parabens, sulfates, and phthalates. The mask contains phenoxyethanol which may cause cell death. It also has fragrance that may cause skin irritation. Many users claim that the product is overpriced. They also did not like the bad smell of the product. 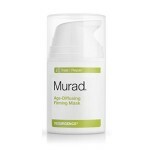 Many users with sensitive skin claim that the mask dried out their skin and caused acne breakout. The active ingredient may increase the skin’s sensitivity to the sun. Pumpkin Enzyme Mask Price & Quantity? 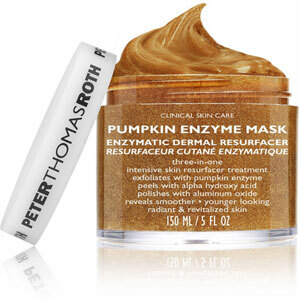 A 5 fl oz (150 ml) jar of the Peter Thomas Roth Pumpkin Enzyme Mask is sold for a price of USD 58 and is available in the official Peter Thomas Roth website. You can also buy it from one of their many branches. The company promises that the pumpkin enzyme mask before and after results will leave your skin brighter, more radiant and refined and it does contain the right exfoliating ingredients for the job. However, one of its main ingredient, AHA, can increase your skin’s sensitivity to the sun which will put your skin at risk of sunburn. In addition to that, it also has triethanolamine, fragrance, and alcohol which may cause dryness, skin irritation, watery and red eyes. The mask contains too many ingredients that are harmful to the skin. With this in mind, we suggest that you choose a mask that does not contain these controversial ingredients. All Peter Thomas Roth are covered by the company’s 30-day money back guarantee. You can return items that have been purchased from the site to the site within 30 days after the date of purchase. If the items were brought from other retail stores, you should return the product to them.